I love watercoloring and mixing colors to make new ones. For my next card I chose to share this adorable little elf. 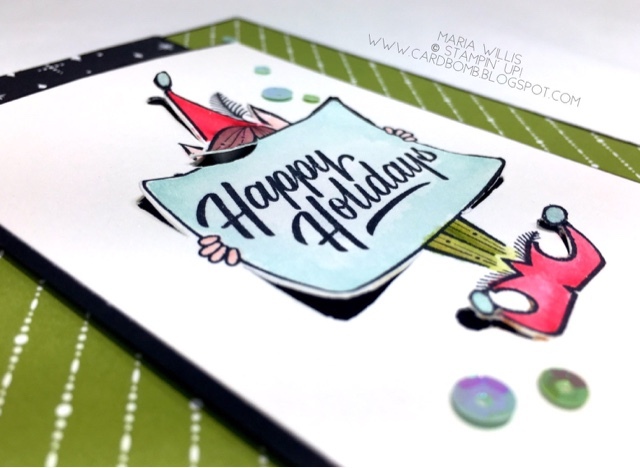 I did a fun technique on this card called Paper Tole (see the original post for more info and a full tutorial HERE). I love doing different techniques and this was my first time doing Paper Tole. For my third card I picked a simple one with a fun background. 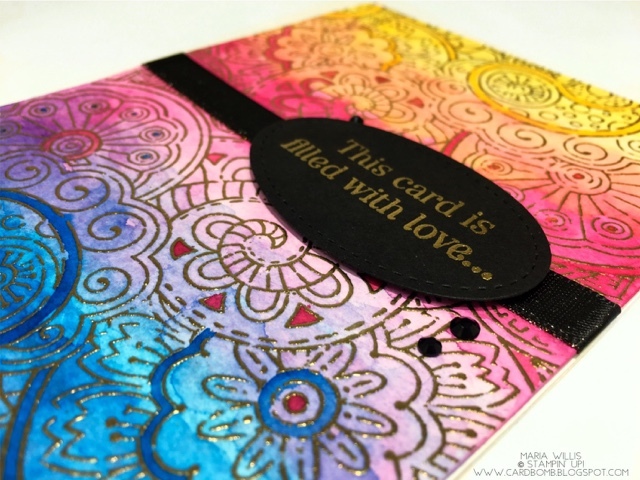 The background was heat embossed in gold and then watercolored with three colors. You can find more info and a video tutorial HERE. I kept the sentiment simple in order to let the background stand out. For my first 3D item I'm sharing this cheerful box. 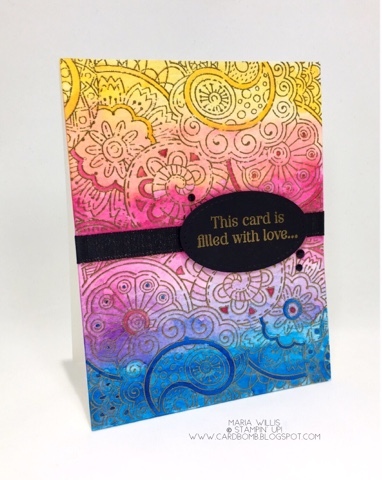 The background DSP is colored with Stampin' Blends. 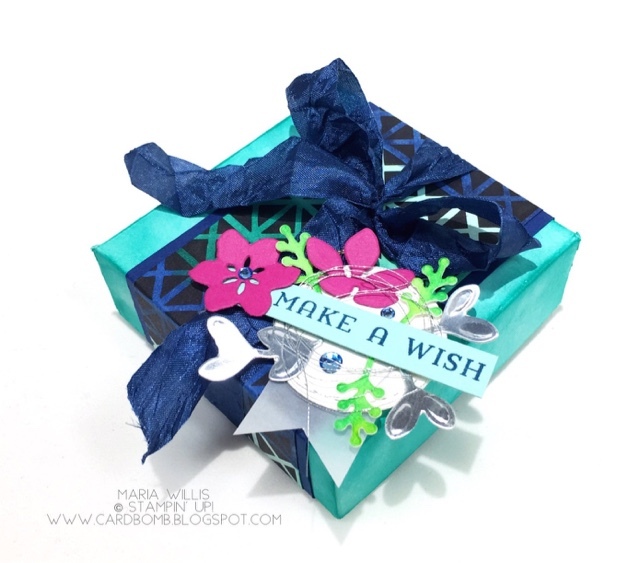 Then I layered some fun pieces together to create a focal point for the sentiment. You can see the original post for more pics and info HERE. 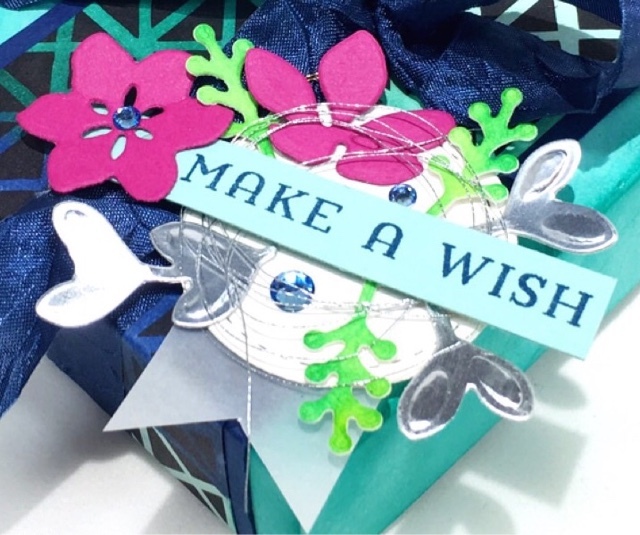 I also used my Blends to color the rhinestones blue to match the rest of the project. My second 3D project is this set of tiny pillow boxes. 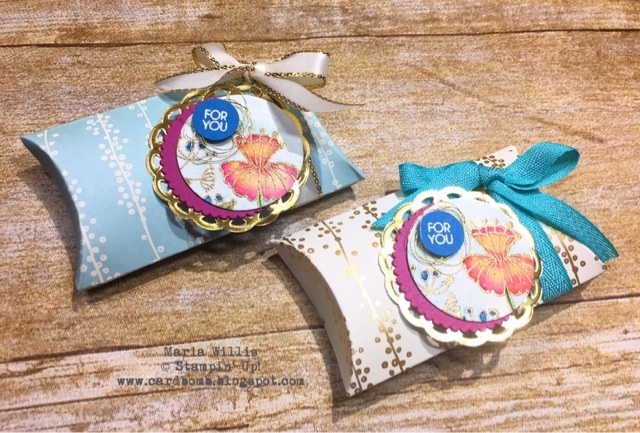 The inspiration for these was a vintage tea cup that was just gorgeous! You can see the original post with more pictures and the tea cup HERE. Here's a close up of the watercoloring and layering I did for the tags. 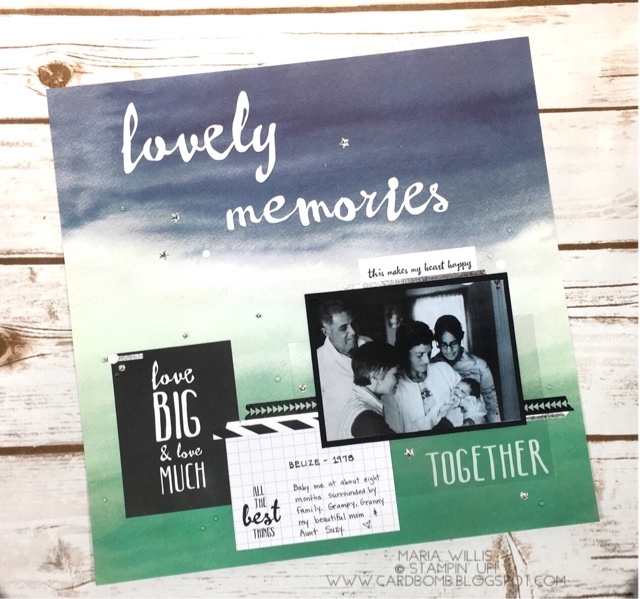 Now, if you follow my blog at all you know it is a rare thing for me to do a scrapbook page... But, I had fun with this one! I recently came across this photo of me when I was a baby. It's a throw back to 1978 in Belize (Central America) and my Granny is holding me while other family members look on. This photo means the world to me and I'm so glad that now the memory will be preserved. Alrighty, that's it for now! I'm off to bed as soon as I submit this application.